The English version of Wikipedia has over 3,400,000 articles at this time, so when I was contemplating a subject that I wanted to contribute on the web-encyclopedia, you could imaging it was hard to come up with something that wasn’t already on there. For a moment I thought about writing something for the Dutch version of Wikipedia, but since I rarely use this version myself I had the feeling that I wouldn’t be contributing much to the body of knowledge if I published an entry on it. 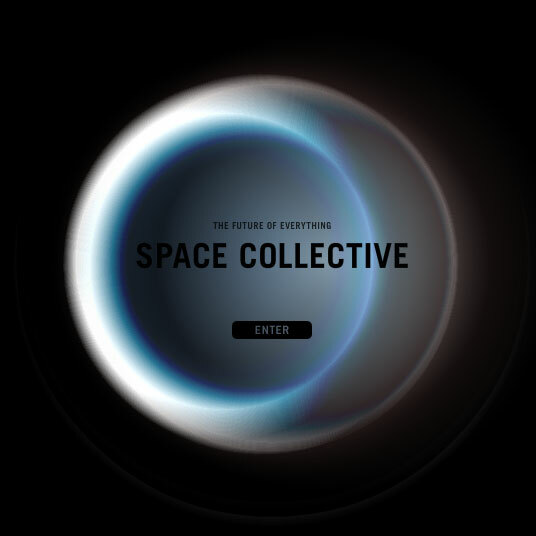 Eventually I decided to start a page about one of my favorite websites; SpaceCollective. It is hard to decide what contributes to the collective knowledge database and what is irrelevant. The main purpose of Wikipedia is to provide free information/knowledge to everyone, and so I considered that giving some information about SpaceCollective, mainly by stating the history and goals of it, would be of relevance to some people, especially because there are schools and universities that collaborate with the website. If my entry is found to be irrelevant the users of Wikipedia would edit or delete it, but so far this hasn’t happened yet. Wikipedia is known for its collaborative workings, and although there are many active contributors, a lot of the editing is done by bots. Strangely enough after four days passed my entry still wasn’t modified by anyone or anything (for bots can’t be seen as persons). I commented on the Facebook group of SpaceCollective that I started the Wikipedia page and asked if they could start editing it, and also emailed the SpaceCollective website to inform them of the existence of it. So did it all go this smooth? Yes, the only little problem I had with the entry was uploading an image to put in the infobox. Wikipedia is very strict on copyrights so I had to find an image that meets the regulations of the encyclopedia. After searching flickr and Google Images I couldn’t find one that was licensed under Creative Commons or that I was sure of wouldn’t bring any copyright problems. So I emailed the SpaceCollective website and asked them to send me a logo image that I could use. Because I didn’t want to wait and especially because I was curious what would happen, I grabbed an image of Google Images, converted it to an SVG file using Inkscape, and uploaded it to Wikipedia. When uploading a file you can choose between different kinds of licenses and thoroughly have to explain where the file comes from. I chose to label the image as too simple for copyright because I figured that there would be no complaining using an image from a screenshot of the logo of the SpaceCollective website that I found on a blog via Google Images. After uploading it Wikipedia stated the following about the image; This file is ineligible for copyright and therefore in the public domain, because it consists entirely of information that is common property and contains no original authorship. I wonder how Wikipedia is governing this uploading because it seems that peculating with this system is very easy. I’m looking forward to the first editing of my entry, be it by human or bot.